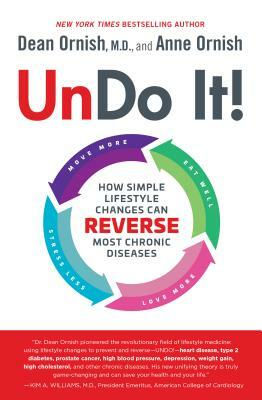 Dean Ornish, M.D., is the founder and president of the nonprofit Preventive Medicine Research Institute, clinical professor of medicine at the University of California, San Francisco, and the author of six books, all national bestsellers. He has received numerous honors, including the Outstanding Young Alumnus Award from the University of Texas, Austin, and the National Public Health Hero Award from the University of California, Berkeley. Dr. Ornish was recognized as a “Time 100 Innovator”; by Life magazine as “one of the 50 most influential members of his generation”; by People as “one of the most interesting people of the year”; and by Forbes as “one of the world’s seven most powerful teachers. Anne Ornish is vice president of program development at the nonprofit Preventive Medicine Research Institute. She is the creator of the Ornish Lifestyle Medicine digital platform, including Empower, a turnkey learning management system that trains healthcare professionals and participants throughout the country. Anne Ornish has more than twenty-five years of advanced training in yoga and meditation and was featured on the cover of Yoga Journal.